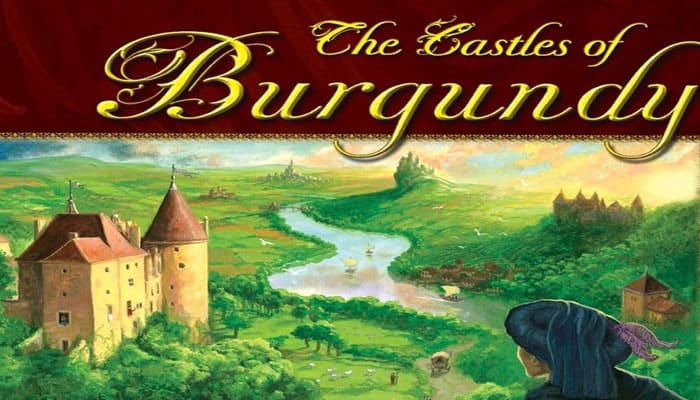 The Castles of Burgundy is a dice rolling and tile placement board game set in the Burgundy region of Medieval France. As influential princes, the players devote their efforts to careful trading and building in order to lead their estates to prominence. Two dice set out the action options, but the players always make the final choices. Whether trading or livestock farming, city building or scientific research, many different paths lead to the prosperity and prominence of the players. The many ways to gain victory points in this building game require careful thought round after round along with extensive planning ahead. Thanks to the different estates, the game remains challenging for the players for a long time, as no two games play out alike. The game includes 26 different yellow tiles. Many have effects that take place immediately after placement, in that they change certain rules. Others only come into play during final scoring. The player who adds this tile to his estate may ignore the rule that only one building of each type is allowed in each city. He may thus add as many buildings as he likes, without restriction, to his cities.